How many of these have you read? Oh, thanks for this list--will be checking some of these out for sure. Another good one on the topic of religion is Once Was Lost/What We Lost, by Sara Zarr! I actually do have Once Was Lost on my shelf - just need to read and review. Hi Lenore! Thank you so much for including my books in this round up. I am incredibly proud to be a party of it. All three books in the series feature a POC main character and a GLBTQ character, too! 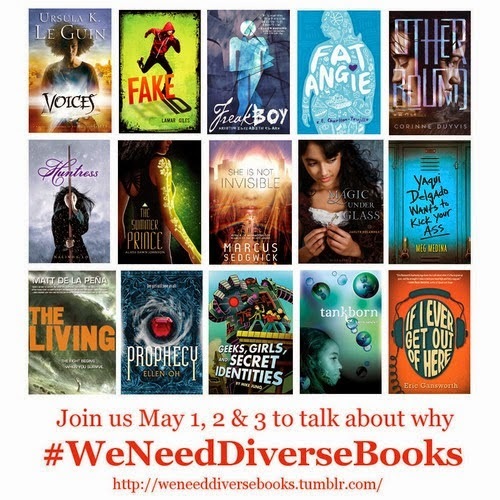 Diversity in books is incredibly important to me, too. Great campaign!! I have the 3rd book EXPERIENCED on my shelf and need to get to it soon.